It’s how we get up in the morning. It’s how we get to work. It’s how we do our jobs. It’s the primary way in which we communicate and interact with one another. Technology is even what allows you to read this blog right now. The wonder of modern technology continues to advance and amaze, even as these words are being typed. Everyday, something new and exciting is being developed in order to help humans interact, become more efficient, and advance as a society. So, as you sit and wonder how you can bring your airline company into the modern era, it would only be wise to consider CBT aviation courses. CBT, or “Computer Based Training,” as it relates to aviation is one of the most revolutionary advancements in the industry. It allows for simple, interactive, and accessible aviation learning and training solutions — which can ultimately help pilots, both individual and commercial, to improve skills, earn and maintain certifications, and maximize their abilities to fly in a variety of settings. At CPaT Global, we aim to provide the most up-to-date CBT aviation courses for a variety of industry and pilot training solutions. With our innovative learning management system, trainees and experienced pilots alike get access to a customizable dashboard, simple access to all necessary courses, 24-hour customer support and training, and more. It’s time you bring your airline company into the modern era. 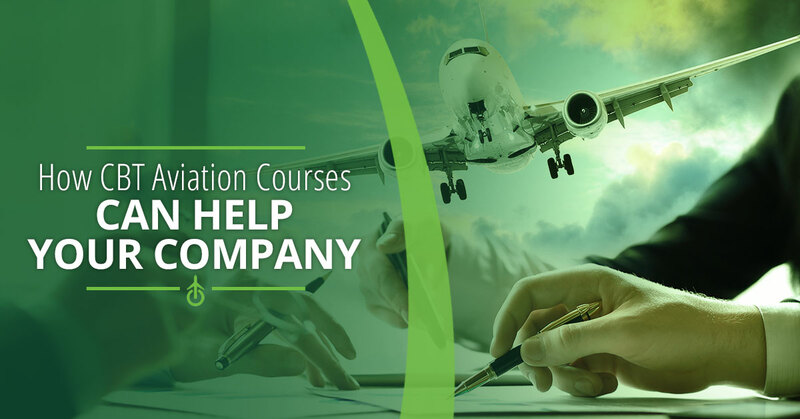 Discover why CBT aviation courses are right for your company and contact CPaT Global today to learn more about our exclusive commercial pricing. With CBT aviation courses, you get maximum convenience like never before. Our systems allow you to train at your own pace, learn systems training in an interactive manner, and complete your courses right on your own computer or tablet. The interactive diagrams, cross-platform convenience, and in-depth content allows students to engage and learn in a simple manner, earning their type rating our recurrent training for a variety of aircraft from wherever they are in the world. Plus, our systems training courses are fully customizable, with multiple text and audio languages to choose from, plus downloadable materials, PC, Mac, and iOS capability, and an extensive library of general subjects. If you’re looking to give your company pilots a simple, convenient way to train and learn, then CBT aviation courses are surely the way to go. Of course, what would aviation training be without a full-fledged flight simulator? While it may seem counterintuitive at first, our online pilot training programs can actually be fully integrated into your company’s flight training devices to provide a powerful learning tool. You can utilize our interactive diagrams and more right along with the top flight simulators in the world, putting your training materials on display in high resolution in order to learn the relationship between multiple systems during a flight. Learn more about CBT simulator integration and contact CPaT Global to get started. Another great way in which your company can benefit from CBT aviation courses is through the variety of systems which can be learned. Each of these CBT aviation courses provides total systems training through the use of text, audio, graphic animations, and level three interactive training, which means your pilots can earn and stay up with recurrent training in the easiest, most convenient way possible. Our online pilot training solutions are both convenient and affordable, providing a simple method for your company to train, learn, and stay up to date with the latest certifications. As we previously mentioned, our Learning Management System (LMS) is fully customizable to allow each pilot an opportunity to learn with their own methods and at their own pace. What’s more, our CBT aviation courses turn your company’s training into a modern learning tool, with trackable, web and mobile friendly training through one, simple-to-navigate platform. The possibilities are truly endless when you consider all the ways in which CBT aviation courses can help your company grow and thrive. Contact CPaT Global today to get started and ask about our commercial pricing.